PEST CONTROL THAT MEANS BUSINESS. Terminix® Commercial will show pests who’s boss and back up our work with a 110% guarantee. Whether you have one location or stores across the country, we have effective solutions to keep you protected. Terminix provides comprehensive solutions for every pest that dares to invade your business. We custom fit every commercial pest management solution to your specific business needs in order to keep your facility pest-free. Terminix understands that every industry, business and individual environment is unique. We have industry-specific protocols, and we back up our services with an ironclad guarantee. 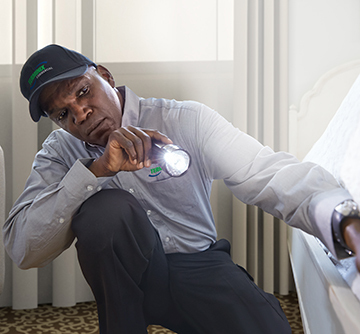 Terminix Commercial will quickly and effectively detect and eliminate bed bugs. Guaranteed.